A yearly non-refundable fee of $45 per student or $75 per family is required at registration. When registering, you will be registered from September to September (an entire calendar year). Summer schedule will change, but you will stay registered for the entire year. It is your responsibility to find a summer class to fit your needs. 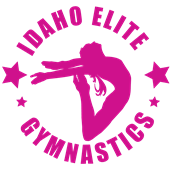 If you do not, Idaho Elite will place you in a class that is similar to the one you registered for upon enrollment. Payment is due by the 5th of the month. You will receive at least 3 lessons a month. Tuition must be paid by pre-authorized automatic monthly payment (Auto Pay). Idaho Elite will not accept cash, credit card, or bank debit payments for monthly walk-in payments. IEG will not fully register a student without setting up a monthly payment program through Auto Pay. To use Auto Pay, you must sign an Auto Pay authorization form. Once completed, tuition will be debited from your bank account on the 5th of every month. If unable to set up Auto Pay, IEG will accept a money order or cashier's check, with the amount written out for the full amount or process a one-time full payment prepay. Delinquent accounts may result in the student being automatically dropped from their class. A delinquent account is when Auto Pay has been declined. The family will have seven business days to make arrangements to fix the account. A declined payment will result in an automatic $20.00 late fee being applied to the account. In the event IEG cancels classes due to extreme weather or unforeseeable events. IEG will provide a make-up class. IEG will follow School District 91 & 93 for weather warnings and closures. There will be no make-ups provided for any classes missed due to personal circumstances. WRITTEN NOTICE must be given for class withdrawal. Notice must be received by the 15th of the month that you will be dropping at the end of the month. Complete and sign a withdrawal form provided by IEG office. Following proper notification, your student(s) will be listed as a future drop and be removed from the roll at the end of the month. IEG reserves the right to terminate lessons to any student without notice. In such a case, a refund for unused lessons will be given. Parent and/or legal guardians of minor students and adults waive the right to any legal action for any injury sustained on IEG property resulting from normal class activity or any other activity conducted by the students before, during, or after class time. IEG has permission to take photographs of the student to use in brochures, web sites, posters, advertisements, and other promotional material. Permission is also granted for the studio to copyright such photographs in its name. Please note that your students may also appear in the background of other personal photos of students. IEG is not responsible for children not registered in a class. Parents with children under the age of 5 should remain on location during that child's lesson. IEG does not provide childcare. If bringing other children to IEG, the parent/guardian is responsible toe ensure their child(ren) is supervised, they do not disturb students, classes, or instructors. The facility and its equipment are respected; equipment is only for instruction and not a toy or playground. Parents are to clean up after their child(ren). IEG reserves the right to provide a substitute coach if the regularly scheduled coach is ill or otherwise unable to attend classes. IEG may use email for mass communication of class information, payment notifications, as well as other information , payment notifications, as well as other information that may need to be provided to families regarding their account and/or students. i fully understand that that Idaho Elite staff members are not physicians or medical practitioners of any kind. With the above in mind, Ihereby relase the Idaho Elite staff to render temporary first aid to my child or children in the event of any injury or illness, and if deemed necessary by the Idaho Elite Staff to call a doctor and to seek medical help, including transportation for said child should the Idaho Elite Staff deem this necessary. I HAVE READ AND UNDERSTOOD THE IEG TERMS AND CONDITIONS.